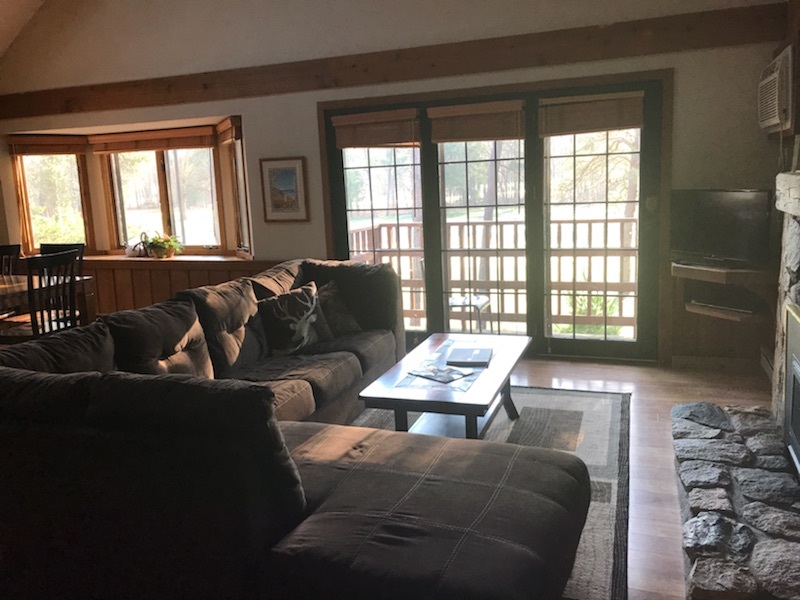 CRYSTAL MOUNTAIN CONDO SLEEPS: 7 BEDROOMS: 2 BATHROOMS: 2 *GOLF COURSE FRONTAGE (1st and 9th holes) *SWIMMING ON PROPERTY (Please check their website for pricing) *PETS WELCOME *OPEN ALL YEAR AROUND *ALL CRYSTAL MOUNTAIN AMENITIES ARE AVAILABLE TO GUESTS! (Please check their website for pricing) If you know anything about Crystal Mountain, you know it is a great place to create family memories! This condo unit, located on the 1st and 9th holes of the golf course, is ideal for those who want to enjoy all the amenities of Crystal Mountain. Open all year around, Crystal Mountain Condo comes with 2 bedrooms, a great living space, full kitchen, and sleeps 7. Although guests will have to purchase different amenities that Crystal Mountain has to offer, you won't regret being this close to all the action! Sit back and relax in one of the two jetted tubs, rent a kayak/canoe for an evening paddle, or get a day ski pass for the mountain; either way it goes, there is plenty to do in and around this condo! FREQUENTLY ASKED QUESTIONS A/C: Yes! ACCESSIBILITY: Only via stairs. It is on the 2nd floor. ATV's: Not allowed on property Bathroom: 2 Full Bathrooms both with jetted tubs Beach/Swimming: There is an indoor pool, outdoor pool, and water playground available for guests: the rate is $8-12 per day/person Bedroom Configuration: Bedroom 1= 1 King bed Bedroom 2= 1 double/twin bunk & 1 twin/twin bunk Boats: Kayaks and Canoes are available for rent! Cable/Satellite TVs: Of Course! Cell phone service: Good! 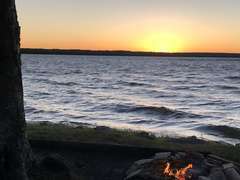 Distances: * Sleeping Bear Dunes: 30 minutes (25 miles) * Traverse City, MI: 50 minutes (35 miles) * Ludington, MI: 1 hour and 13 minutes (58 miles) * Mackinac Bridge: 3 hours (166 miles) Fireplace: Yes! A nice, easy to use, gas fireplace! Grocery Store: Within walking distance Internet: YES! Linens: Yes, we provide your sheets and linens. Just like a hotel, the beds will be made for you upon arrival. If you are fussy about the thread count of your sheets, just let me know, and I'll make sure we leave a bed open for your sheets. We have just the basic sheets, pillows, pillow cases and bath towels. Parking: There are 2 parking spots available Pets: 1 pet is welcomed! Freshwater Vacation Rentals currently charges $50/per pet for your entire stay. Yes, we do accept dogs, yet we do ask that you please clean up after them both inside and outside the cabin. Plus, if you allow them on the furniture, we do ask that you please bring your own linens/blankets for them to sleep on. Just let us know which bed you will be using with them, and we'll make sure it is ready for your sheets when you arrive. Plus, if the pet hair starts to build, we do ask that you please run the vacuum. Generally, dogs love the water and places to explore. Pet food does tend to attract mice, so vigilance is needed. Privacy: You are on the 2nd floor of a condo unit. There is another unit below and across. Towels: Yes, we provide towels. It's always good to bring extra though. Washer and dryer: There is not a washer and dryer in the unit, however, there is a coin laundry mat at the main chalet. Perfect-Was perfect for us. Close enough to walk to everything. Fantastic!-Great location, clean, well stocked with supplies, comfortable couches and beds. We look forward to another ski weekend next year at the same place!! Irish, isn't it great to find a vacation property is even better than what you expected? We are thrilled that Crystal Mountain fit the bill for you! I'm sure you had great skiing conditions, and we hope to see you again soon! Very nice place for the money.-Very nice place. Beds were very comfortable. All new appliances. BIG! Completely enjoyed ourselves-We had the best week at Crystal Mountain and staying in this condo! It was very clean and comfortable, simply but nicely appointed, and in the perfect location at the resort. We had easy access to the resort amenities and usually just walked to them. We loved the gas fireplace, the comfy living room area, and the beautiful view over the golf course...and our boys loved the bunk bed room. The only things that keep me from giving a 5-star rating were that the place takes quite a while to heat up - it has radiant heaters vs forced air and with the high ceilings (and single-digit temps), it was pretty chilly. Also, a washer/dryer is always a plus especially when we are wearing the same layers repeatedly for skiing, and the units in these particular condos do not have washer/dryers in them. But these certainly did not take away from our enjoyment of our vacation and we'd certainly vacation there again! Great place a little dated but nice. Able to walk to everything from the condo. Beds were nice.-Great place a little dated but nice. Able to walk to everything from the condo. Beds were nice. Glad I could bring my dog he had a blast on the golf course at night, we walked the trail and he was whipped! Nice place-Great place It is a little dated but as everything you need! ! We had a blast. Could walk right to the resort and to the chairlift. Walked the cross country trail everyday right behind the unit with my dog Moose, he had so much fun. Has plenty of room for 4-6 people. The bunks are very comfortable. I will be staying again in the future. Great condo that feels like a log cabin!-Super cozy, 2 sets of bunk beds in the second bedroom. Awesome fireplace. Will definitely be returning on our next ski trip! Kregg, we are happy that you both enjoyed your time at Crystal Mountain. 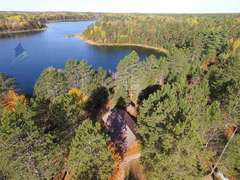 It is a lovely part of Michigan to visit, and there is a lot to do once there. We hope that you come back again! Ronald, we're glad that you liked Crystal Mountain. It is a beautiful area with lots to do. Thank you also for your positive comments about working with FVR. It is our mission to make each guest feel special, to deal with issues expediently when they come up and to, hopefully, always have excellent communication between our office and our guests. We very much look forward to working with you again. Awesome stay-Really enjoyed staying here! Beth, we love how much you liked Crystal Mountain! It is a pretty special property with lots to do. We look forward to working with you again! Kathy we are thrilled that Crystal Mountain worked out so well for you. It is a great property with loads of things to do. Thanks also for the kind words for the FVR staff. We hope to work with you again soon. Great place! Great value! Prompt customer service. Matthew, we are so happy that you enjoyed Crystal Mountain. Thanks also for the kudos for FVR customer service. It is our mission to be the very best in that area! We hope to see you again soon.